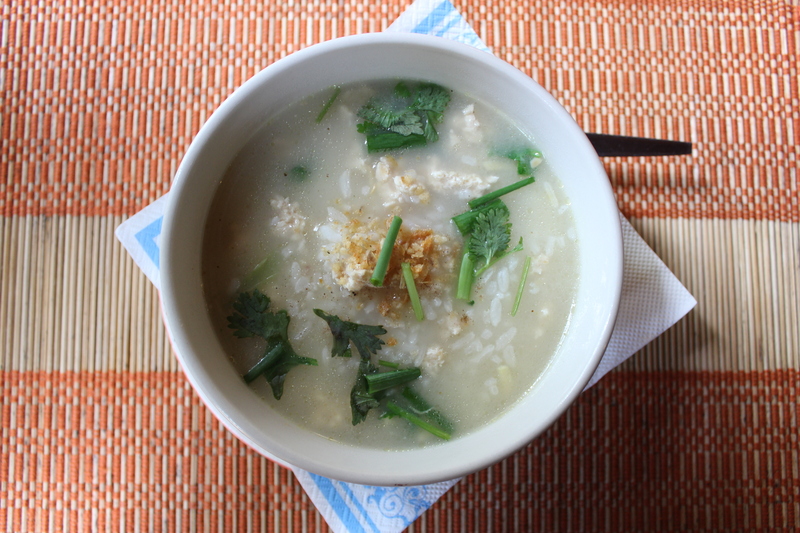 In a large saucepan combine stock with gingerroot, shallots, lemon grass, rice and salt to taste. Bring to a boil and simmer, stirring occasionally, for 20 to 30 minutes, or until soup is a porridge-like consistency. Remove and discard lemon grass. Add the pork, cilantro, fish sauce and lime juice and simmer 5 minutes more.